It unarguably takes a lot of nerve for an Indian to write a book on a subject most people from the country view negatively. 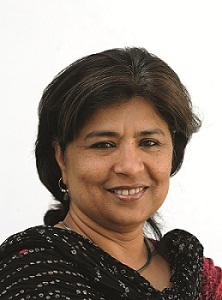 But for veteran journalist Sheela Reddy, it was the eagerness to know the real story, the real personality of Mohammed Ali Jinnah that led her on a journey that involved several years of extensive research and writing for her opus, Mr. and Mrs. Jinnah: The Marriage That Shook India. 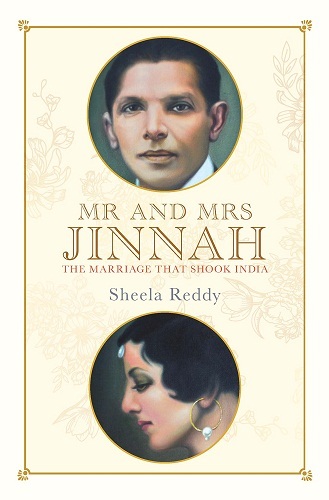 Reddy’s historical delves into the lesser known facts about Jinnah and his Parsi wife Rattanbai’s (Ruttie) relationship – one that affected the wider world around them, soon to be divided by borders – and makes for an undeniably fascinating read, whether you’re a fan of history or not. What was the catalyst behind your decision to pen a book on the Jinnahs’ relationship? Were there any revelations for you during your research? Did you have any apprehensions writing a book on a man a lot of Indians see in a negative light, owing to our tumultuous history? Did you face any roadblocks or challenges while writing? Did your years of writing and research change your own opinions about Jinnah? What was the inspiration for the subtitle – The Marriage That Shook India? If there was one reason you wished readers would pick up the book for, what would that be?